Down here in the sunny South, traditions run deep. It may seem a little out dated to say that I went to a debutante ball over the weekend, but in our little town, girls still don white dresses and are presented to society in their sophomore year of college. 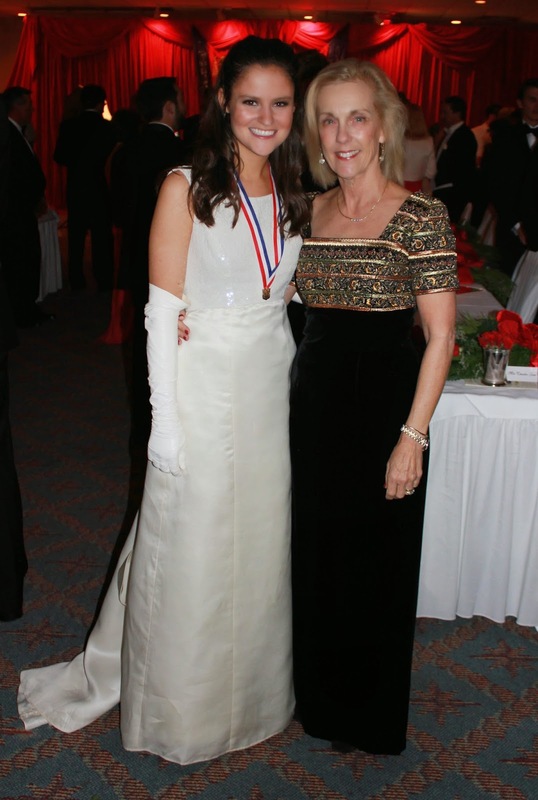 I was one of those girls back in the late nineties, and this past weekend, my nieces, Lauren and Claudia, joined me as a member of the Medallion club of the Society of the Debutante Charity Cotillion. The both were stunning in their long white dresses and opera length leather gloves, but this story is about one dress in particular. I stood upstairs in Sarah's and swore to my father that if he got that dress for me, I would most definitely wear it again someday when I got married. It was Vera Wang, and it was perfect! The top of the dress was covered in sequins that caught the light in the best possible way. The skirt was A-line with buttons and the most beautiful bow in the back. It was almost like the outline of a bow, and it draped perfectly. I felt like the belle of the ball the night that I made my debut more than 15 years ago, but not too surprisingly when the time came to pick out a wedding dress, my 28-year-old self felt that my debutante dress was too youthful. In a nutshell, I was crazy! Don't get me wrong, I love my wedding dress, too, but when we pulled out my deb dress for Claudia to try on, I was blown away all over again by that dress. I guess you could say that it is vintage Vera Wang now, but it is still just as beautiful, and in my opinion, the most beautiful dress at the ball all over again! Looks like a beautiful ball. Glad to know some things stay the same. I think if I had gotten married before Ivan, my dad might have held me to it, too, but without Sarah to work her magic, it was easier to just pick a new dress. What I realized seeing the dress on Claudia is that no magic needed to be worked. I love it just as it is!